However, residing access security on a human entered password is not very wise. Script kiddies may break into your system due to a lazy user with a weak password. And it is beyond the system administrator power to make users choose good passwords. Another advantage of this method, is that one does not need different passwords to log on different servers. One can authenticate via the personal private key on all servers, needing not to remember several passwords. It is also possible to make logins with no password asked with this method. On the client machine, the user must generate a public / private keys pair that will identify himself on the servers. One can choose to protect it with password or not. Your identification has been saved in /home/malware.expert/.ssh/id_rsa. Your public key has been saved in /home/malware.expert/.ssh/id_rsa.pub. To use the utility, you simply need to specify the remote host that you would like to connect to and the user account that you have password SSH access to. This is the account where your public SSH key will be copied. 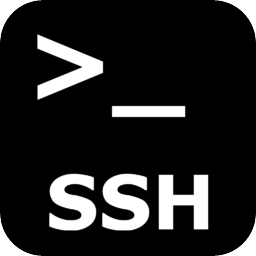 /usr/bin/ssh-copy-id: INFO: Source of key(s) to be installed: "/home/malware.expert/.ssh/id_rsa.pub"
Note that at this point password access is needed. This procedure can be done by any other way you wish. For example, the server’s administrator himself can add the public key to allow a user access, instead of giving him a password. Once the public key is installed on the server, access will be granted with no password question. Now try logging into the machine, with:   "ssh 'root@malware.expert'"
If you do not have password-based SSH access to your server available, you will have to do the above process manually with remote server administrator. The content of your id_rsa.pub file will have to be added to a file at ~/.ssh/authorized_keys on your remote machine where you want login. Remote administrator add your public_key_string to authorized_keys file. If this added correct, you can move on to try to authenticate without a password.